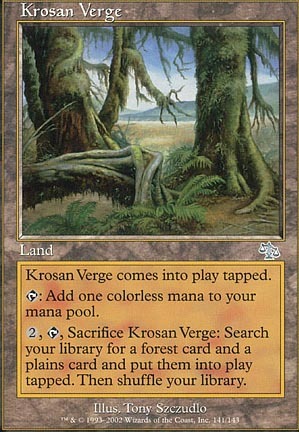 : Add , , Sacrifice Krosan Verge: Search your library for a Forest card and a Plains card and put them into play tapped. Then shuffle your library. 129 decks jouent cette carte.